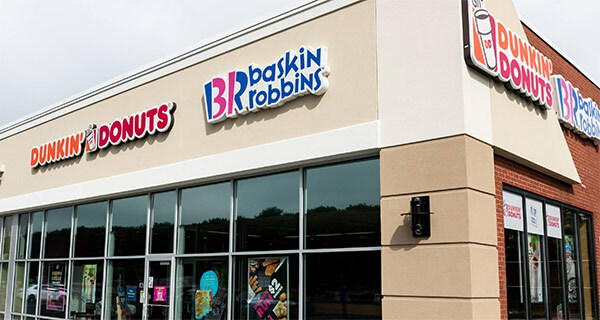 Gaming and casino company Grand Parade Investments (GPI) is exiting its Dunkin’ Donuts and Baskin-Robbins businesses as its losing streak continued in the food market that it entered in a gamble three years ago. On Friday 15 February, GPI announced that it had filed an application for voluntary liquidation of both businesses after not getting any “serious offers” for them. GPI’s share price has declined by about 37% since it bought the rights to the operations. Acting CEO Mohsin Tajbhai said the decision was made because these businesses had negatively impacted cash resources. “Since June 2018, it has become apparent that both brands would not meet their original nor revised forecasts based on the poor performance of existing stores,” said Tajbhai. GPI’s food business has been disappointing. It grappled with the challenges of an unfamiliar fast-food industry that faces pressure in a low-growth economy with low consumer confidence. GPI owns the South African licence for Burger King and has a 17% stake in Spur. Even Burger King faces challenges. GPI said the US franchise has been hampered by a sluggish economy and the sugar tax. Keith McLachlan, small- and mid-cap fund manager at Alpha Asset Management, said a combination of factors contributed to GPI’s performance. He said the food business was not GPI’s core expertise and that businesses that strayed from their core business tended to under perform. GPI also faced executive issues. The company has had two CEOs in less than two years. Its last CEO, Prabashinee Moodley, left after less than five months on the job. This was a few days before a dramatic AGM when shareholder activists voiced concerns over departing executives. They said the board lacked the skills and experience for the quick-service restaurant industry. Independent analyst Anthony Clark said the exit from Dunkin’ and Baskin-Robbins was a positive move by GPI. “It starts the process of rehabilitating GPI in the eyes of shareholders and trying to unlock value and pare losses in fast food. They now need to invest more in Burger King or potentially sell it,” Clark said. “International food franchises coming into this country is a long-term venture,” he said. Taste Holdings brought inStarbucks and has struggled to make a profit since 2015. Grand Parade acquired the rights to represent Dunkin’ Donuts and Baskin-Robbins in SA, Namibia, Botswana, Zambia and Mauritius in January 2016. At the time, Grand Parade said it intended developing more than 250 Dunkin’ Donuts restaurants and more than 70 Baskin-Robbins shops in SA. The JSE-listed group said it acquired the exclusive master licence agreement for both brands for 10 years with an option to renew for a further 10 years. In its 2018 financial year results, Grand Parade said it had rolled out five stores for Dunkin’ Donuts and one store for Baskin-Robbins, bringing total stores to 11 and five, respectively.